The Fischer FMP 30 Feritscope uses magnetic induction to measure the ferrite content in both austenitic and duplex steel. This NDT inspection tool offers a method of measuring the excess or deficit of metal ferrite content, which can lead to reductions in strength and flexibility. This is particularly important for the chemical and petrochemical industries where weld seams in pipes, containers and boilers need to maintain an optimum level of ferrite content after welding. 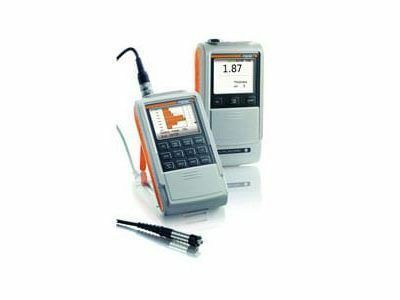 The FMP 30 Feritscope has user-friendly features such as a large display, automatic probe recognition, continuous measurement, and tolerance warnings. The rugged housing keeps the instrument safe in extreme conditions. 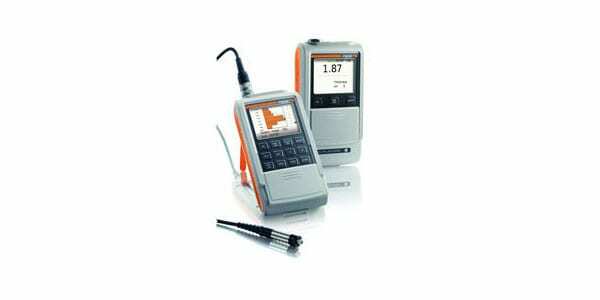 Connect with a PC to transfer measurement data. Lockable keyboard/restricted operating mode. Audible and visual warning when tolerance limits are exceeded. Free-running display with additional presentation of the reading as an analog bar between the tolerance limits. Separation of the measurement data in up to 4000 blocks which are time and date stamped.